Anyone else have love hate relationships with their foundations? 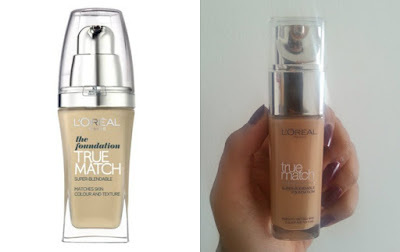 One base that I have hated for the last few months is the L'Oreal True Match as it was clinging on to dry patches and going 'patchy' throughout the day. Until the other week on a complete whim I decided to repurchase it due to the bottle having a makeover. It is now taller and slimmer with a new pump. This enticed me to try it once again and I have fallen back in love. The coverage is medium to high as it covers everything, from dark spots to red spots as well as giving a slight dewy finish. It also isn't very thick in consistency and this makes it easier to layer up if needs be. 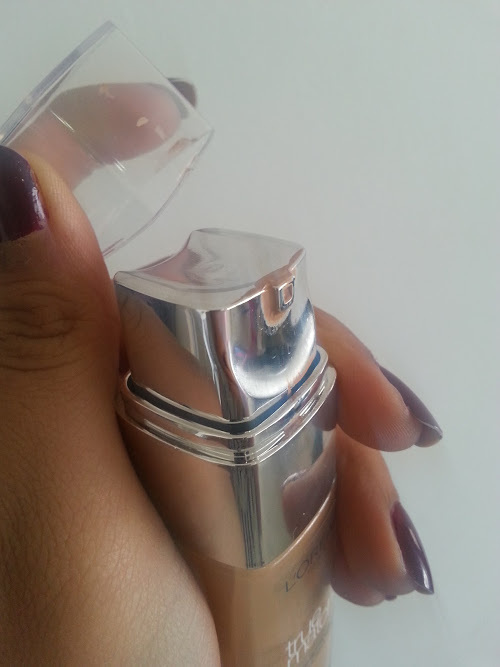 I guessed my shade to be 7.c or Rose Amber and it is a perfect match, even better than the other foundations I own. They have also confirmed that the formula has been updated yet still keeping the medium coverage. 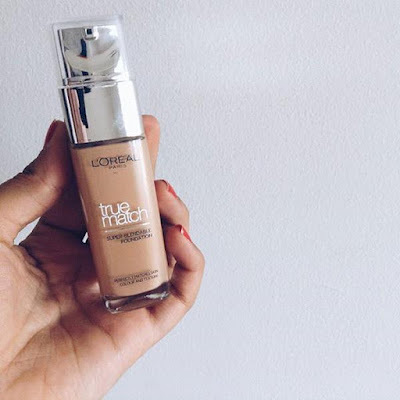 There is just something about this foundation that has got me hooked again, maybe because it is a more of a winter base rather than summer. I can't lie and say that I picked it up because I love it, because I really did hate it for some time, but the new bottle is just marvelous! It hasn't been updated online, but if you go into Boots, Superdrug & Tesco you will no doubt see the new bottles.